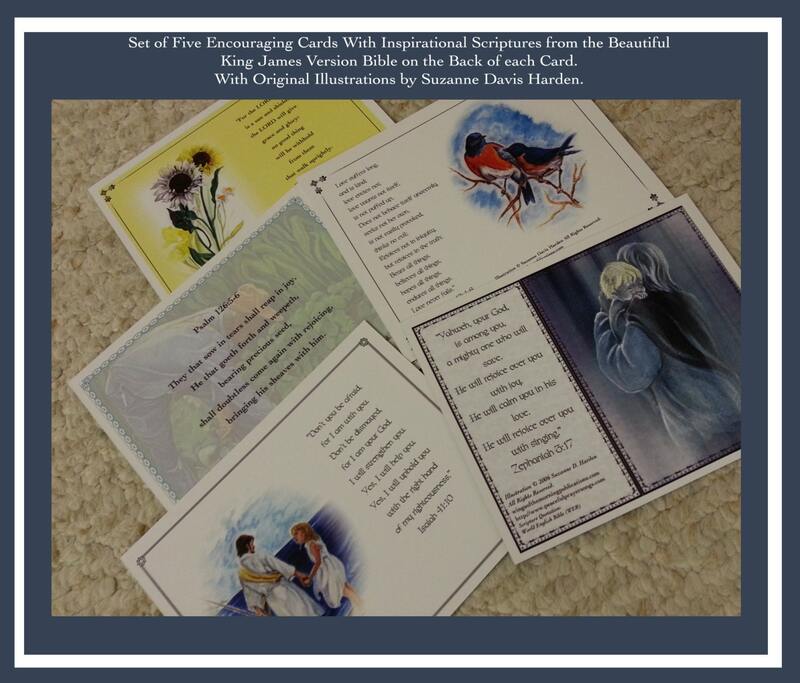 Set of Five Different Encouraging Cards with Inspirational Scriptures on the back from the beautiful King James Version Bible. 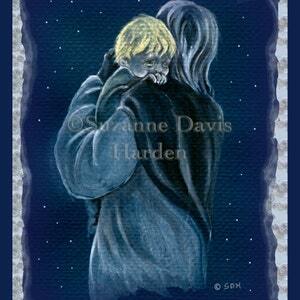 These 5 1/"' x 4 1/4 ' inch cards are small enough to fit inside your purse or pocket to take wherever you go for instant comfort and encouragement whenever and wherever you need it. We all face challenges on our path in life and the perfect antidote to stress, worry and fear is God's word. It comforts and encourages our hearts like nothing else can! 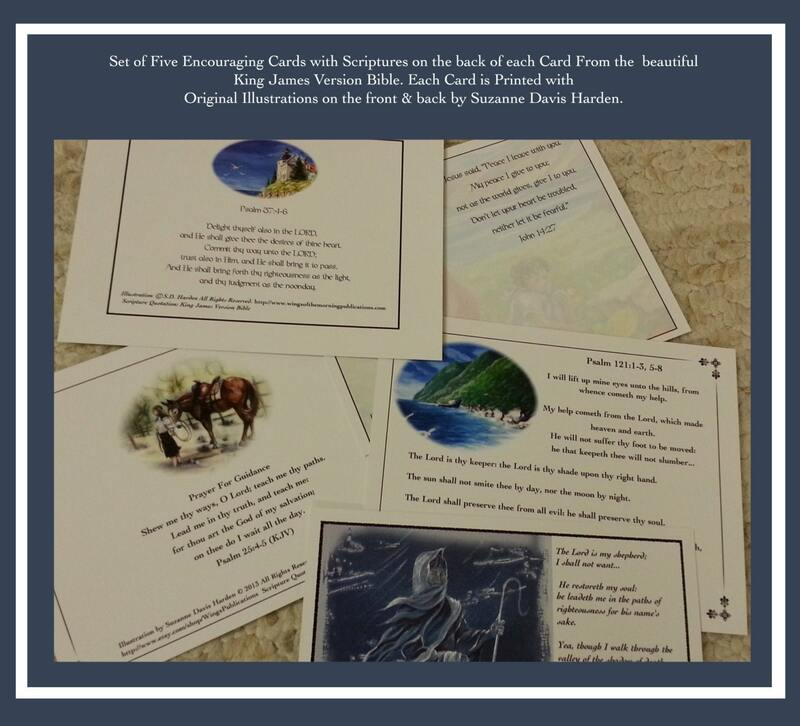 Set these little scripture pictures up in your hotel room whenever you are traveling or keep them by your bedside to read before you fall asleep at night; keep one in your purse or briefcase. 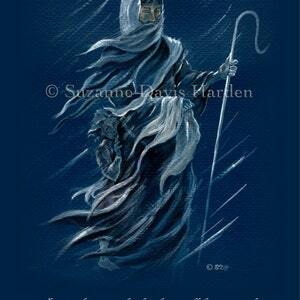 They will bring you great peace of mind. There are two sets of five cards. 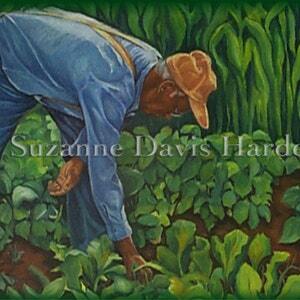 Please refer to the photos for details as to which cards are in each set. 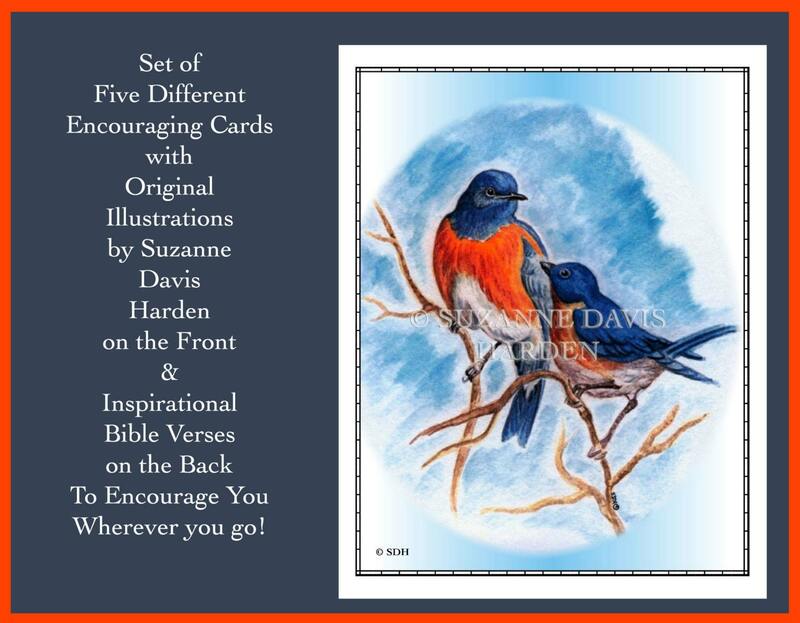 Or you can buy both sets and get all ten encouraging cards. 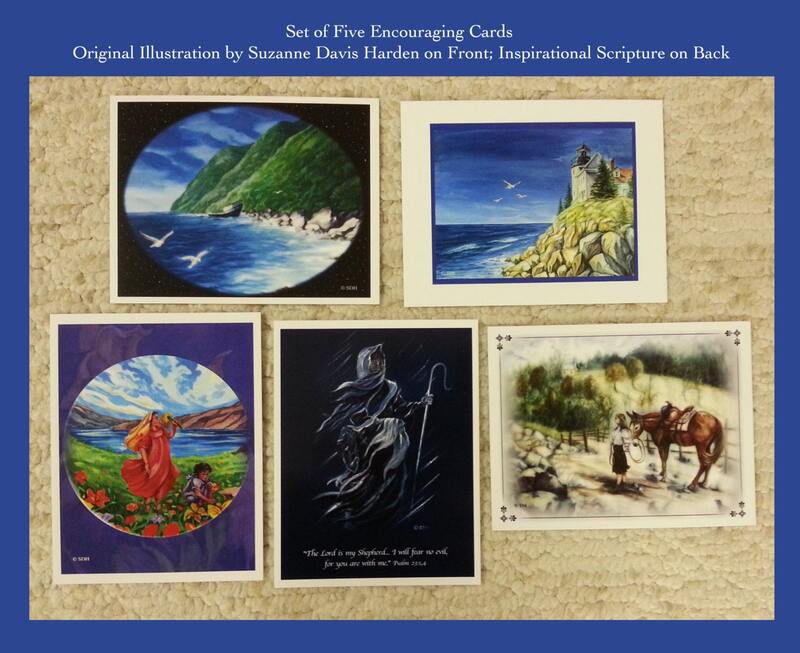 For more details about each of the different encouraging cards please refer to the photos. 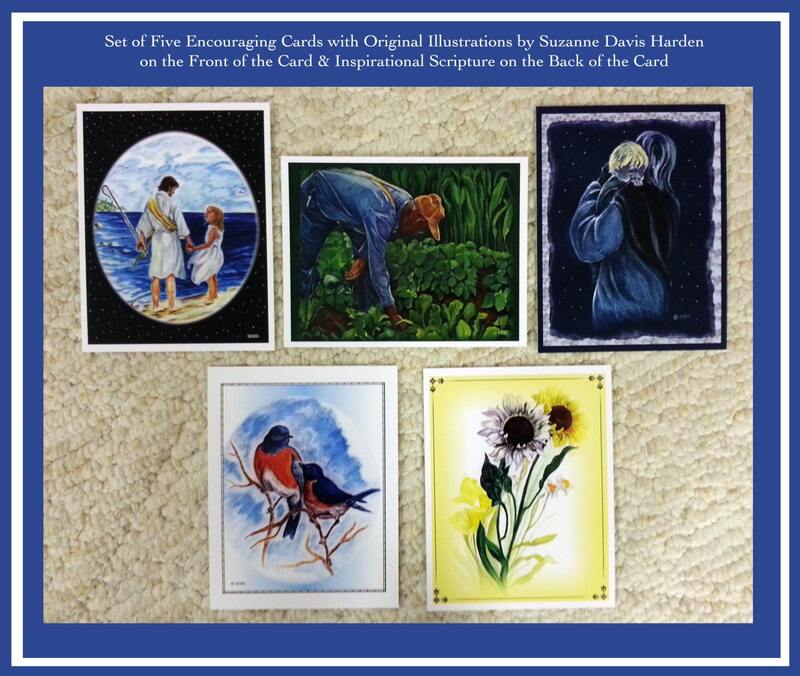 My own original illustrations are reproduced on the cover and backs of each of these cards by my local printer. 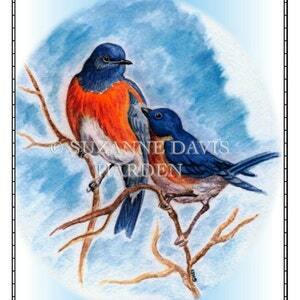 The cards are printed on sturdy archival quality recycled card stock with environmentally friendly inks. I package each encouraging card set in clear plastic resealable sleeves and ship them via USPS within one day of your order. No watermarks will appear on any of your card purchases.